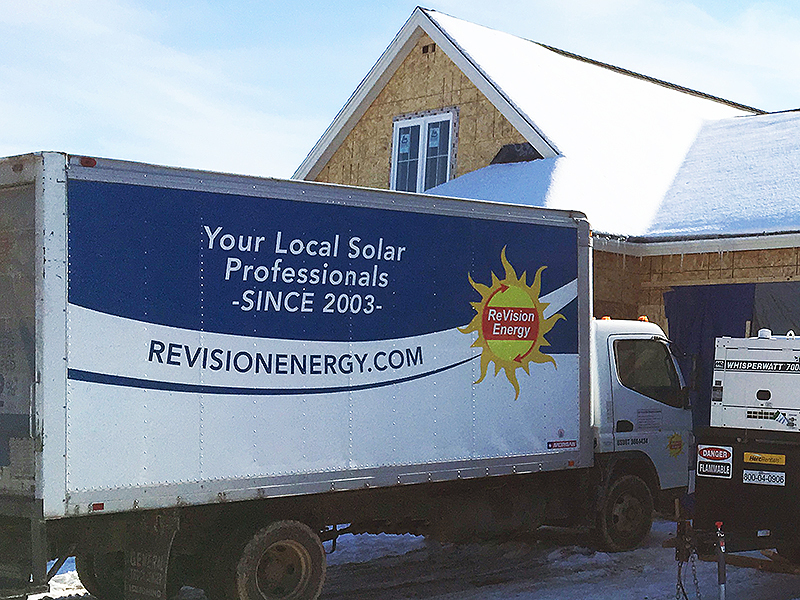 Our friends from ReVision Energy can be seen here preparing to rough-in installation of a solar electricity rooftop system at our Model Cottage. 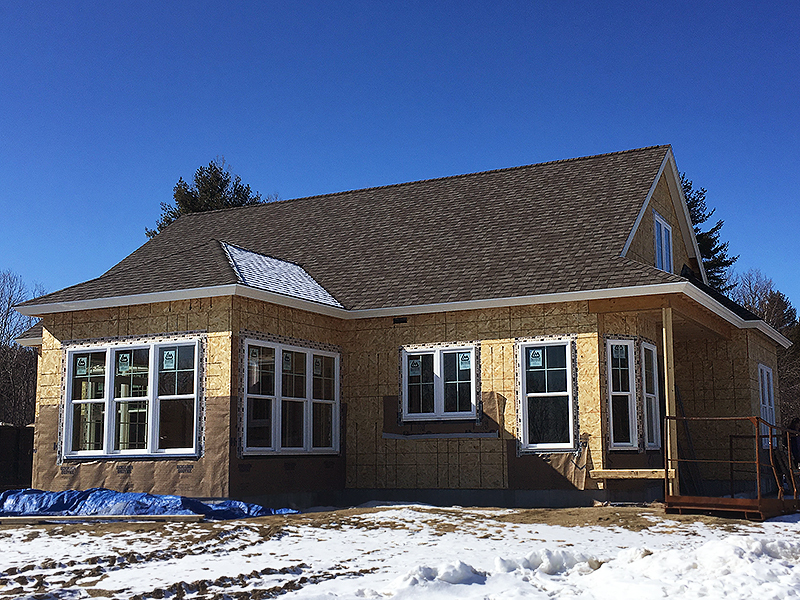 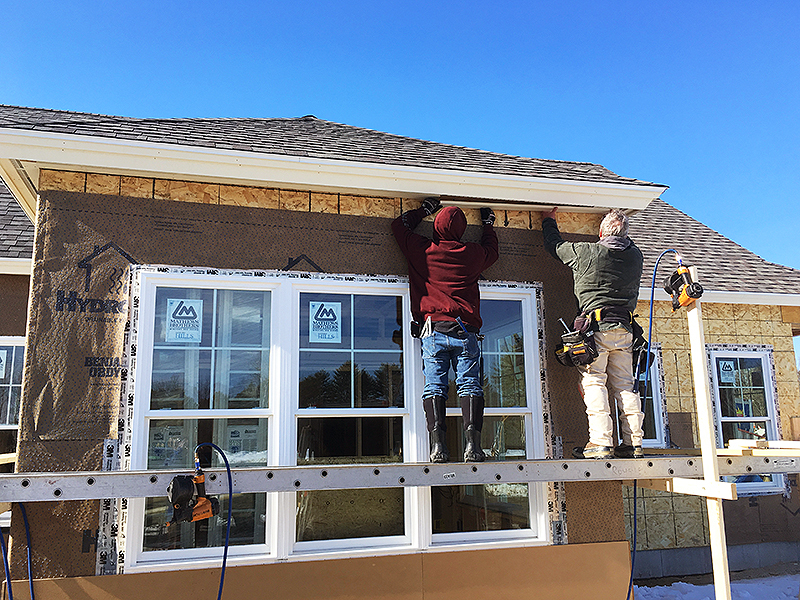 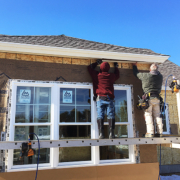 Royale’s exterior trim and siding crew are also working on-site with True North Builders during a beautiful, sunny day at Cumberland Crossing! 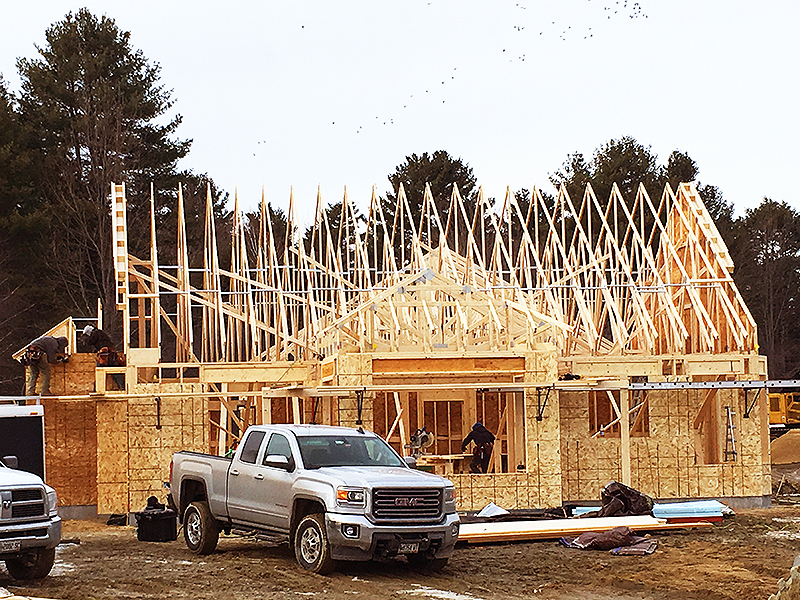 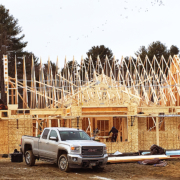 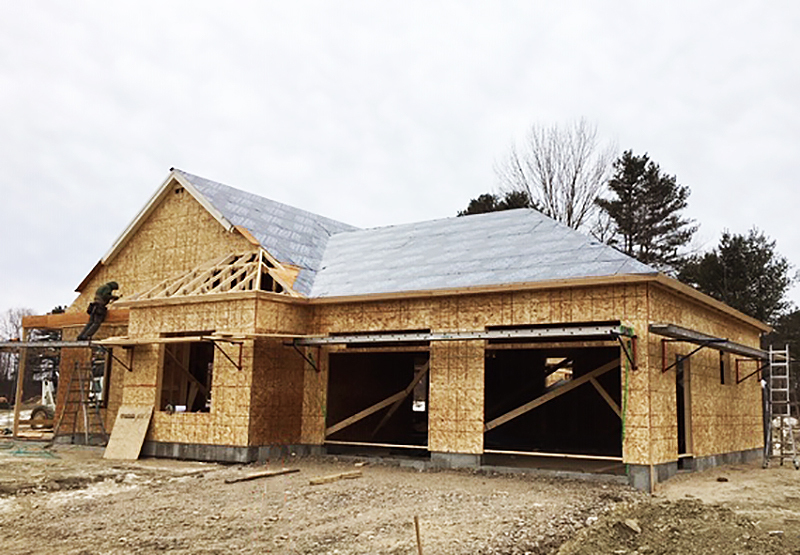 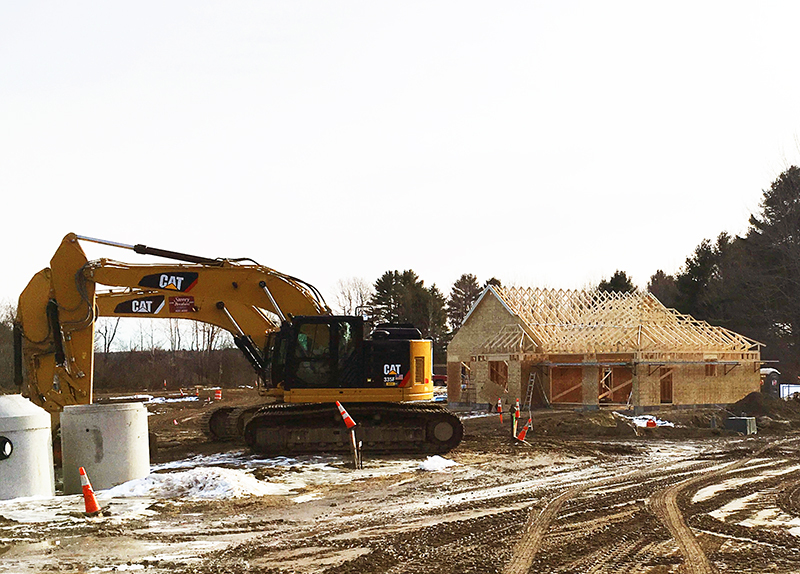 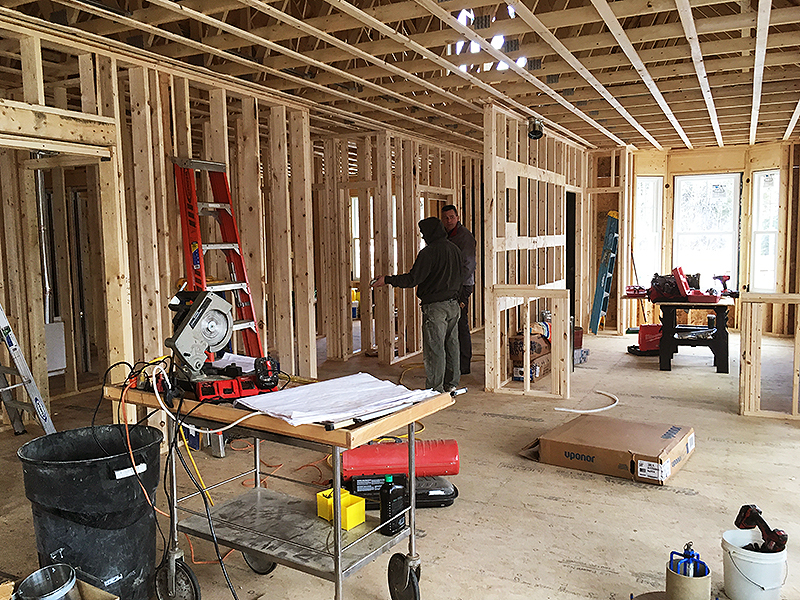 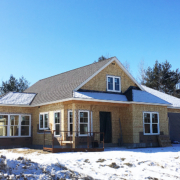 True North Builders continues progress on our Cumberland Crossing Model Cottage. 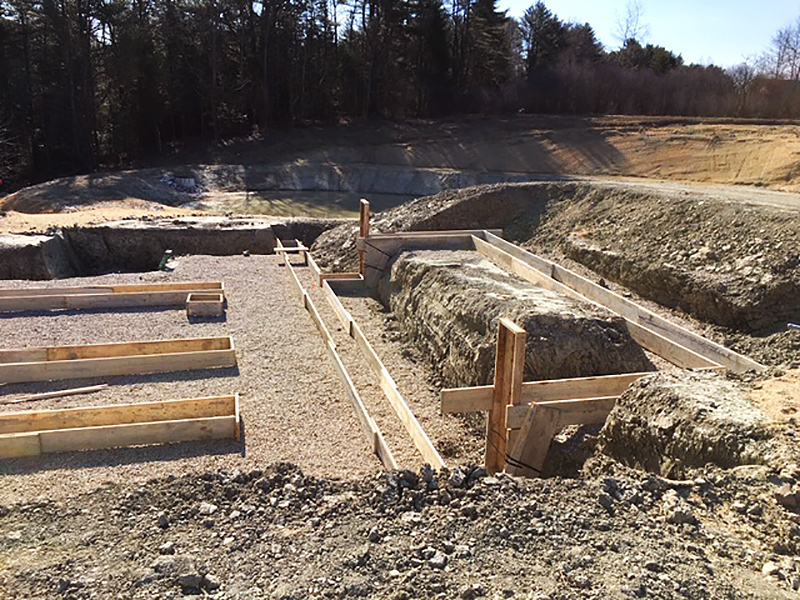 Hildreth & White Construction of Falmouth still active on-site and Storey Brothers Excavating has done a great job finishing sewer, storm water, and public water piping to both Little Acres Drive, Periwinkle Drive, and all related side streets! 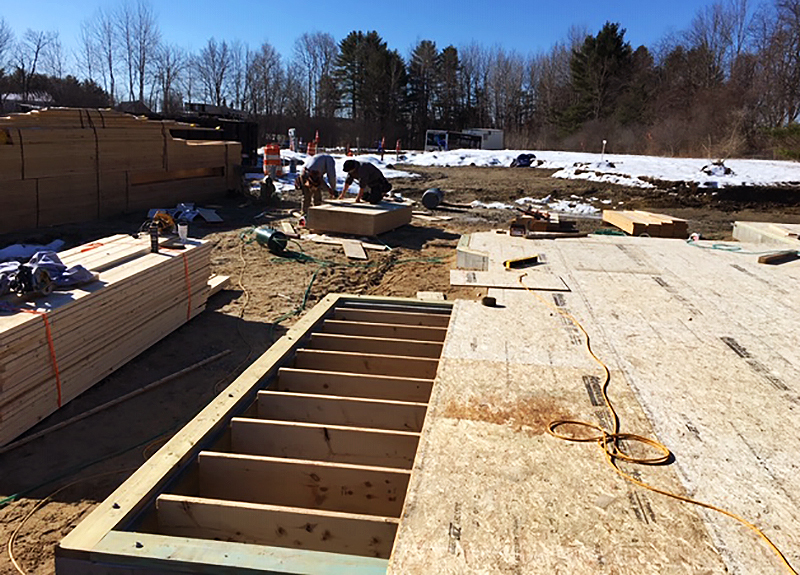 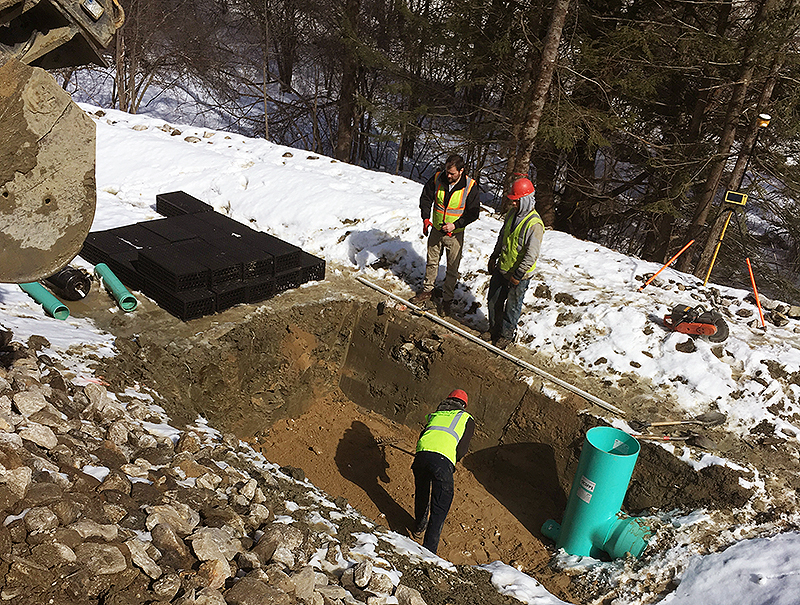 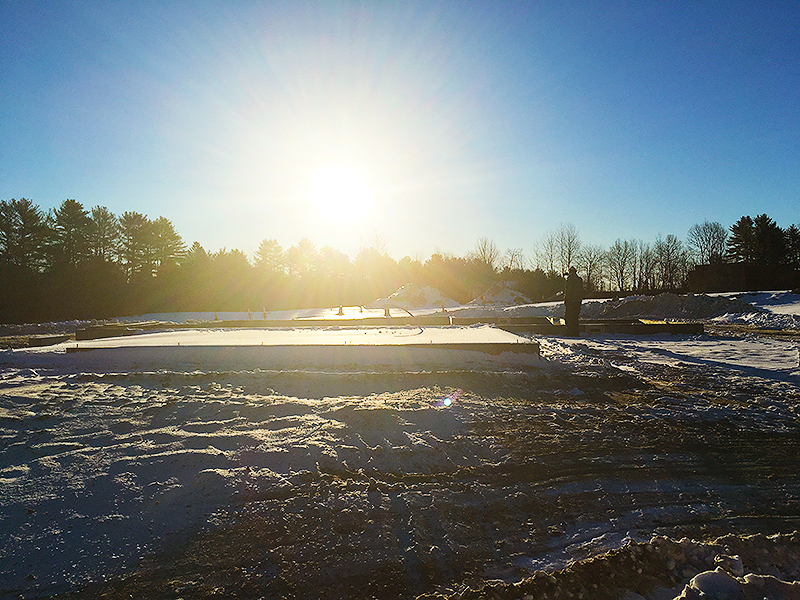 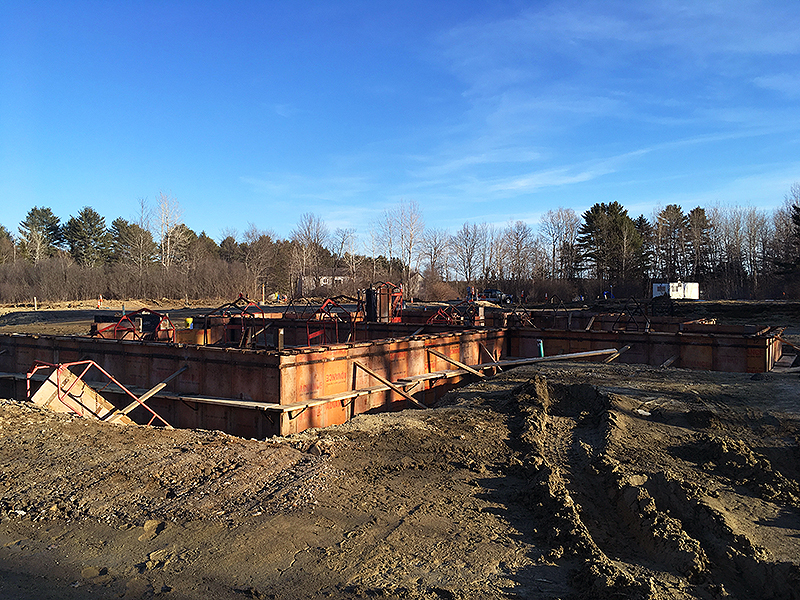 Our first 19 home sites have water, sewer, storm drains, and will have electrical conduit installed over the coming weeks! 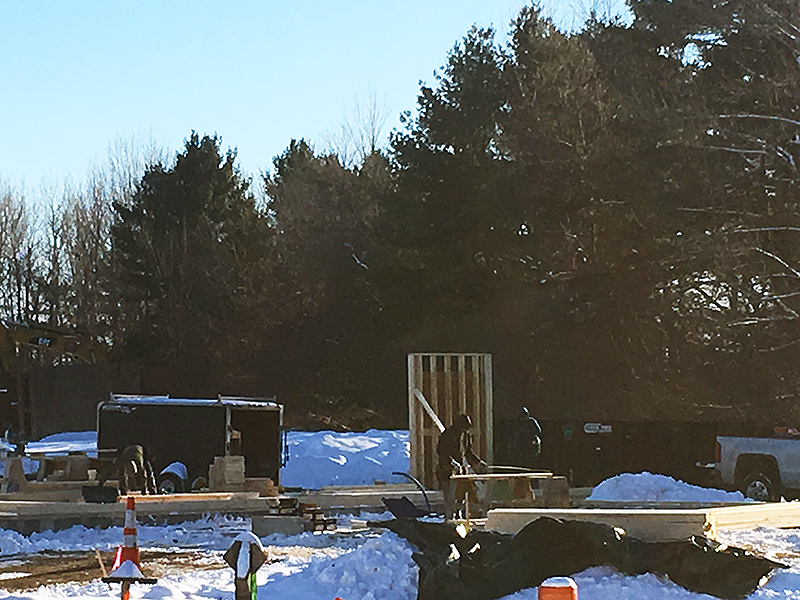 Exciting progress despite the weather. 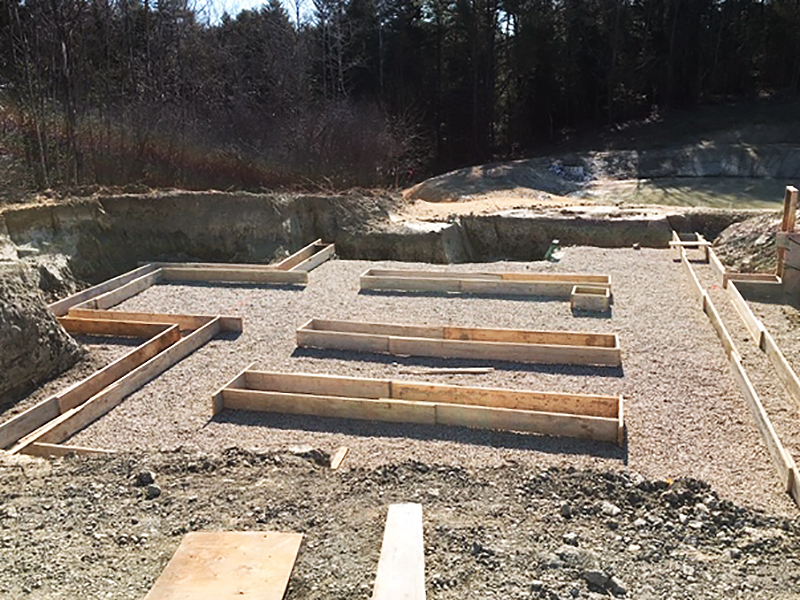 Here is the foundation for Cumberland Crossing’s model cottage, being constructed on the corner of Periwinkle Drive and Little Acres Drive, the main street for our community.